Crew of Smartini Goes to Italy! 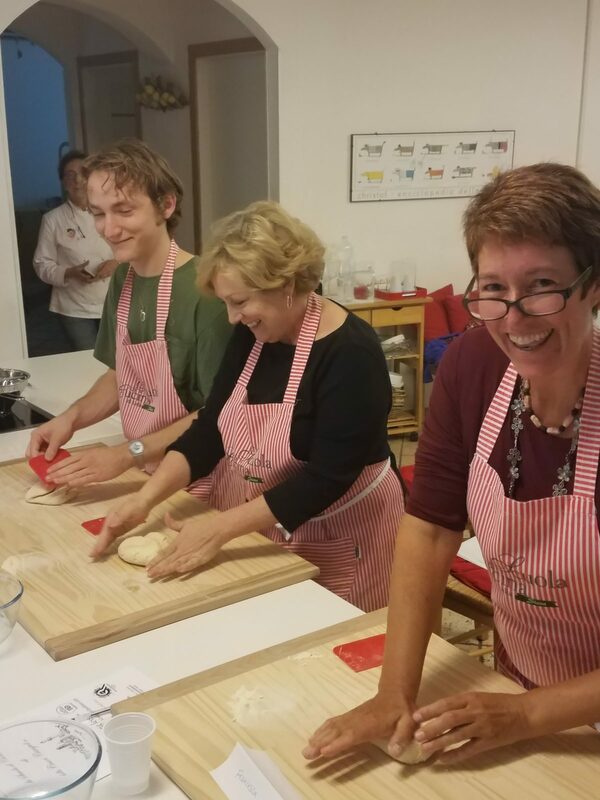 In case you’ve been wondering what the crew of Smartini (Fran and me, but not May the Cat) has been up to lately – we went to Italy! For two weeks with Bennett (my son, Fran’s step-son), and Bennett’s mom, Terri Henderson (yes, that’s my ex-wife – we get along great these days), then just Fran and me for another week. 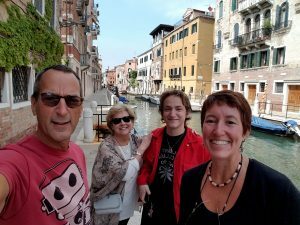 I’d love to give you all the details, but in the immortal words of Inigo Montoya in The Princess Bride, “No, it’s too much – lemme sum up.” We left the USA on May 12 (Terri and Bennett from NYC, Fran and me from Miami) and flew to Rome. A few days there, then a few days in Venice, then a few days in Florence, then some more days in the countryside of Tuscany, a few miles from Siena. Terri and Bennet had to go home at that point, but Fran and I stayed for almost another week, driving a few days to Rome, and then flying to the island of Sicily for four days. It was a great trip. Bennett is in art school, and Terri was a fine arts / art history graduate from Indiana University, so the art we saw in person, that they had been seeing only in books for years, was enough to make the trip a success for them. (Fran and I really enjoyed that part, too – except maybe for all the pushing and shoving in the Vatican Museum and Sistine Chapel – that was a bit much!) The four days hanging out at the old (OLD! Everything is old there! Like, hundreds, even thousands, of years old!) house in Tuscany was relaxing, and beautiful, and fun as we explored nearby Siena, and the countryside. It’s too much to write about, and even if I did, you’d still need to go yourself to really understand what it’s all about. 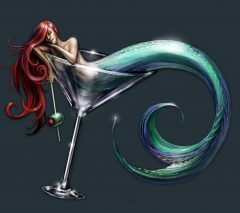 If you’ve ever fantasized about going – do it! I can’t imagine you won’t love it! No description of this trip would be complete without sending a huge “Thank you!” to Paul and Denise Magnus, who flew all the way from Minnesota to George Town, in the Bahamas, to spend almost a month onboard Smartini, to take care of May the Cat. 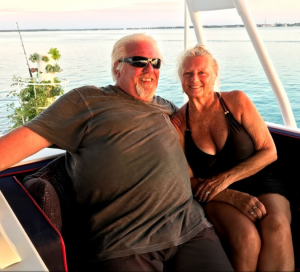 We met Paul and Denise while we were in the marina in Titusville, FL for a few weeks back in 2016. They lived on their boat for a very long time, but sadly, lost it to Hurricane Irma. When Denise found out we were looking for a cat-sitter for three weeks, she immediately volunteered. Thanks so much, Paul and Denise! Awesome. Glad you all had a great trip! Best wishes and get back to cruisin’ the Bahamas. BTW, if weather holds out and I can cross the Stream in my little boat, Kelly and I will be in Bimini June 23 through July 1 with another couple, friends of ours that live in Orlando. Fishing, diving, snorkeling, honeymoon harbor, Cat Cay, hopefully getting in on our annual Mutton Snapper spawn fishing. And enjoying the Bimini LIFE! Just a weeks snapshot of your life cruising the Bahamas!!! Come join us if you can? Previous Previous post: Visit Report: The Aussie Invasion!